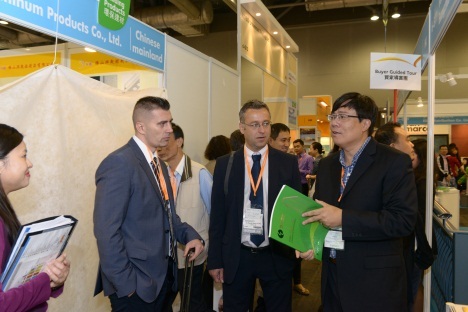 28 October 2013 – Nearly 600 exhibitors from around the world are taking part in three Hong Kong Trade Development Council (HKTDC) fairs this week. 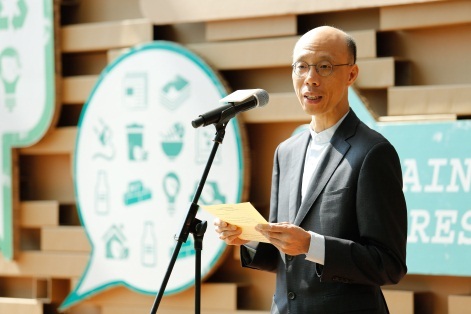 The eighth editions of Eco Expo Asia and the HKTDC Hong Kong International Building and Decoration Materials & Hardware Fair opened today at Hong Kong’s AsiaWorld-Expo, while the seventh HKTDC Sports Source Asia opens tomorrow at the same venue. Together, the three fairs are hosting 150 buying missions representing more than 4,400 companies from 46 countries and regions. 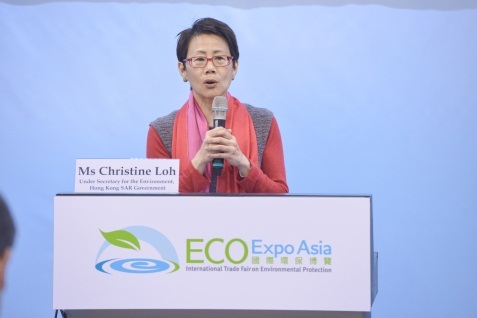 “Green Tech for a Low Carbon Economy” is the theme of Eco Expo Asia, which is on through 31 October. 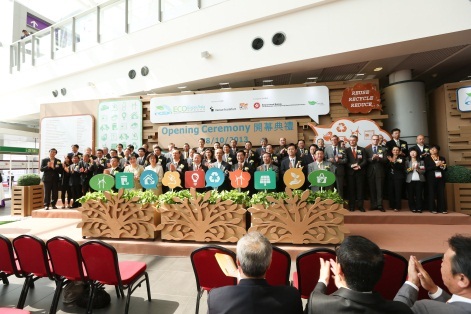 The expo is organised by the HKTDC and Messe Frankfurt (HK) Ltd. Hong Kong SAR Government Secretary for the Environment Wong Kam-sing was guest of honour at today’s opening ceremony. Nearly 300 exhibitors from 19 countries and regions are taking part, including first-time participants from Indonesia and Switzerland. Pavilions include those from Canada, Germany, Japan, Macau, Russia and Switzerland, along with four from the Chinese mainland. 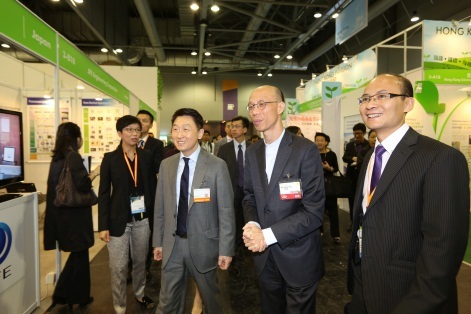 Hong Kong’s Environmental Protection Department, Green Technology Consortium and Green Council also feature pavilions. Environmental protection products are on display in eight zones, from Air & Water Quality to Eco-friendly Products, Green Building Solutions & Services and Waste Management & Recycling. 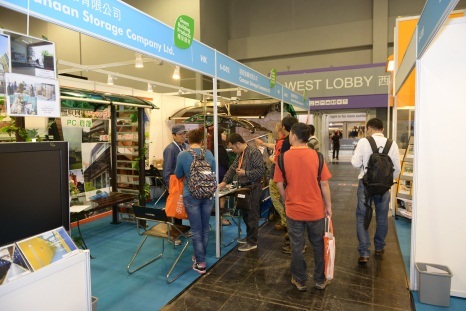 More than 50 exhibitors are showcasing solutions in solid waste, as well as food and water waste. 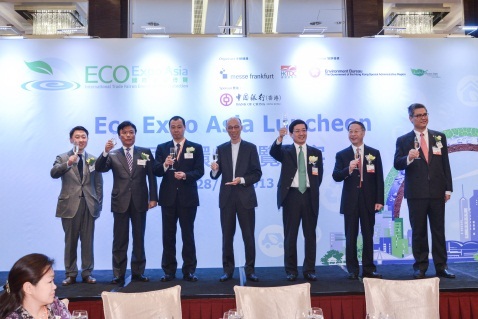 Expo highlights include the Eco Asia Conference, 28-30 October. 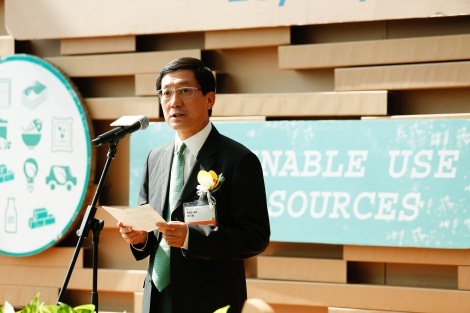 The conference begins this afternoon, spotlighting the Chinese mainland’s latest green policies and business opportunities. Waste management and recycling headline the conference on 29 October, with sustainable energy & energy efficiency, as well as green building, the focus on 30 October. Seminars take place all week. Tomorrow, the Italian Trade Commission presents a seminar on sustainable growth research, while the Japan External Trade Organization will hold a seminar on Japanese environmental technology advantages. Outdoor incineration demonstrations, by Chuwa Industrial Co Ltd, take place six times each day of the fair. Public Day, 31 October, will offer forums, green workshops and a Green Mart. The Building Fair, showcasing close to 160 exhibitors, continues through 30 October. The Malaysia External Trade Development Corporation is taking part in the fair for the first time. Special fair zones include: Green Building Materials; Ceramics, Stone & Marble; Coating & Chemicals; Indoor Decorative Materials; and the World of Building & Decorative Hardware. Other highlights include a symposium today on the certification of buildings for a green environment; a symposium tomorrow examines green, smart buildings. Fair seminars will focus on interior design (29 October) and property and facility management (30 October). Two exhibitor forums are also taking place. The seventh HKTDC Sports Source Asia opens tomorrow at AsiaWorld-Expo, with more than 140 exhibitors participating. Highlights include the new Golf Equipment & Supplies zone. Outdoor Sports, Fitness & Gymnastic Training Equipment, Water Sports, Sports Equipment & Accessories and the Premium Zone are among the other dedicated areas on offer. Other show highlights include a 30 October seminar, “Future Gear of Elite Athletes,” as well as a buyer forum, 29 October, and daily sports parade shows. Fencing, fitness and basketball demonstrations, product demonstrations and interactive games highlight Public Day, 31 October. Game winners will receive prizes from exhibitors; grand prize is an Apple iPad Mini. Select exhibitor products will also be available for sale.